Cookies are small files on your computer that contain anonymous information about your visit on our website. We store no personal details. We won’t ever use this information for anything else than analytics. Hint: If you want to browse cookie-free, you can disable them in your general browser settings. The book is also available at Barnes&Noble and IndieBound. Curious? Jump into it right now. 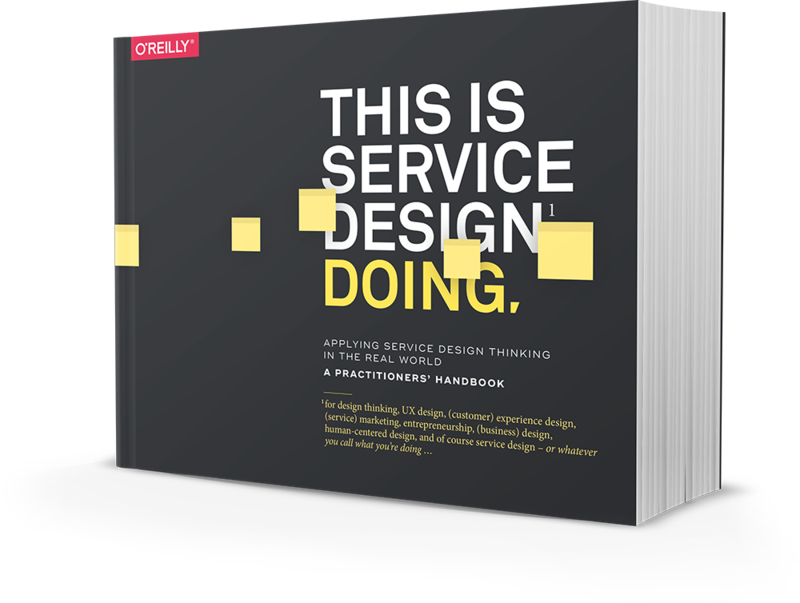 The book is mostly about organizing and orchestrating your activities in effective service design projects and workshops. You’ll also find short text descriptions of many essential service design methods. 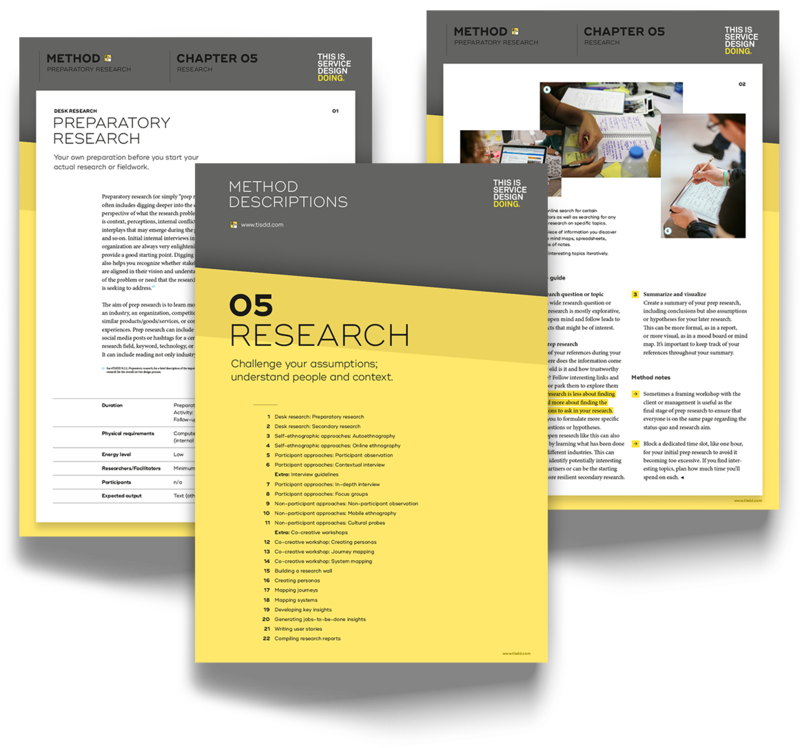 If you’re actually compiling your workshop tool set, you can make use of our full-length method descriptions, organized in an extensive library of 54 methods. Read the texts online, or download your own pdf.